I just love making minis! These were really fun to do. Hearts with arrows. Hearts with white dots around the edge. 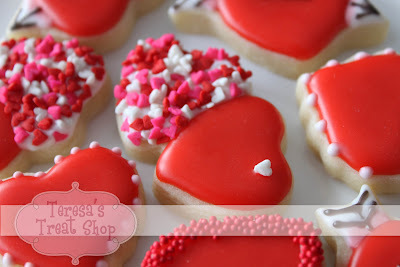 Hearts with red sprinkles. 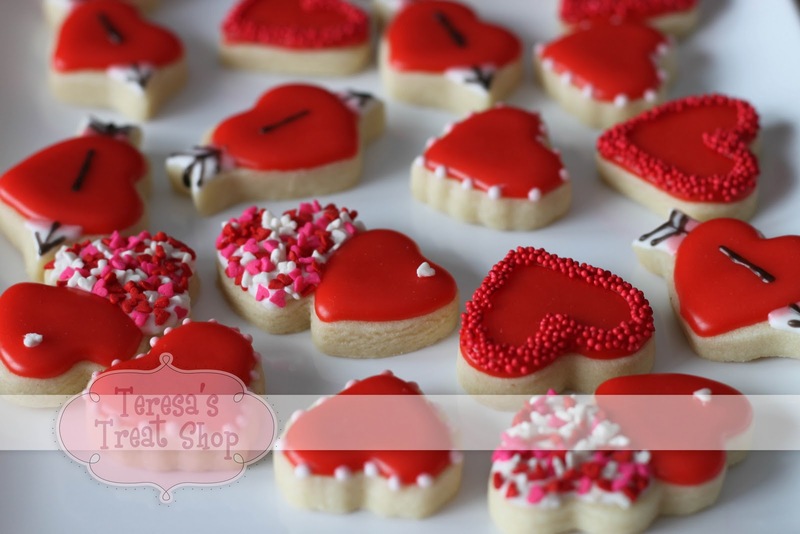 And double hearts - one covered with micro heart sprinkles, the other with just one lovely, tiny white heart! These are going to be great for Valentine's Day - in a glass jar with a beautiful bow, how pretty! They look gorgeous! so cute!